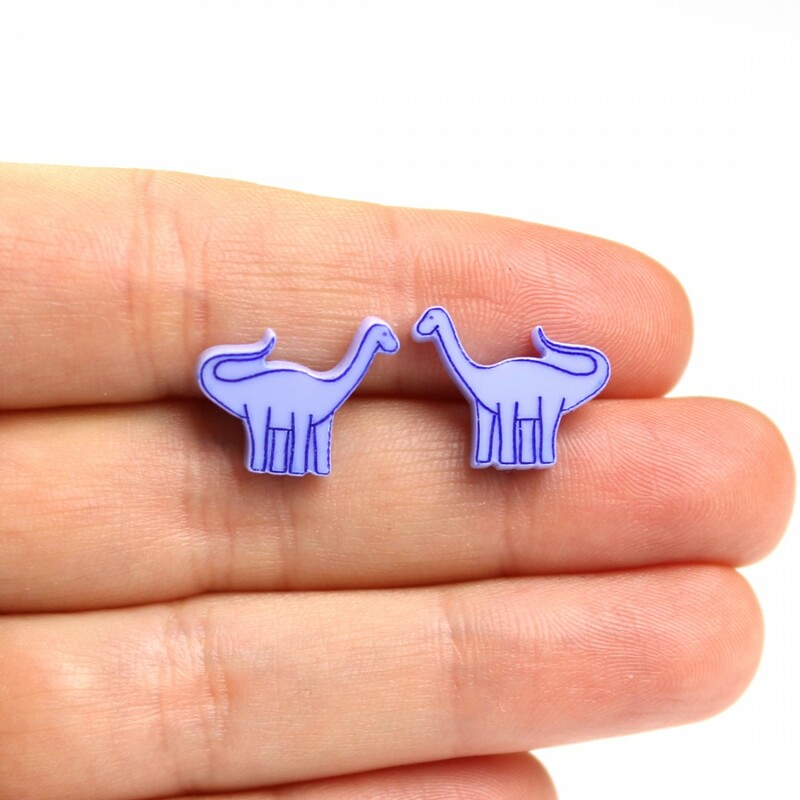 These Brontosaurus shape is laser cut and etched from pastel perspex then the etch lines are hand filled with colour. 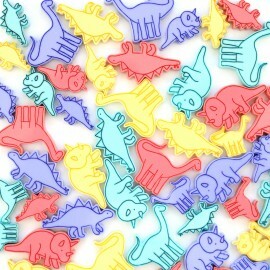 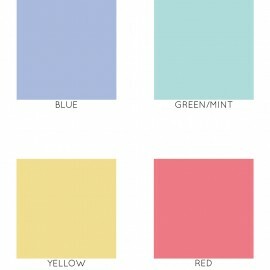 The line colour is a darker version of the dinosaur colour. The dinosaurs are facing each other in each pair, and all pairs are the same colour. 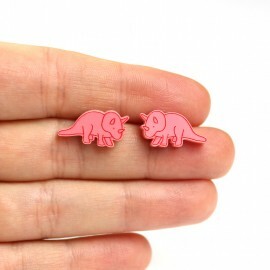 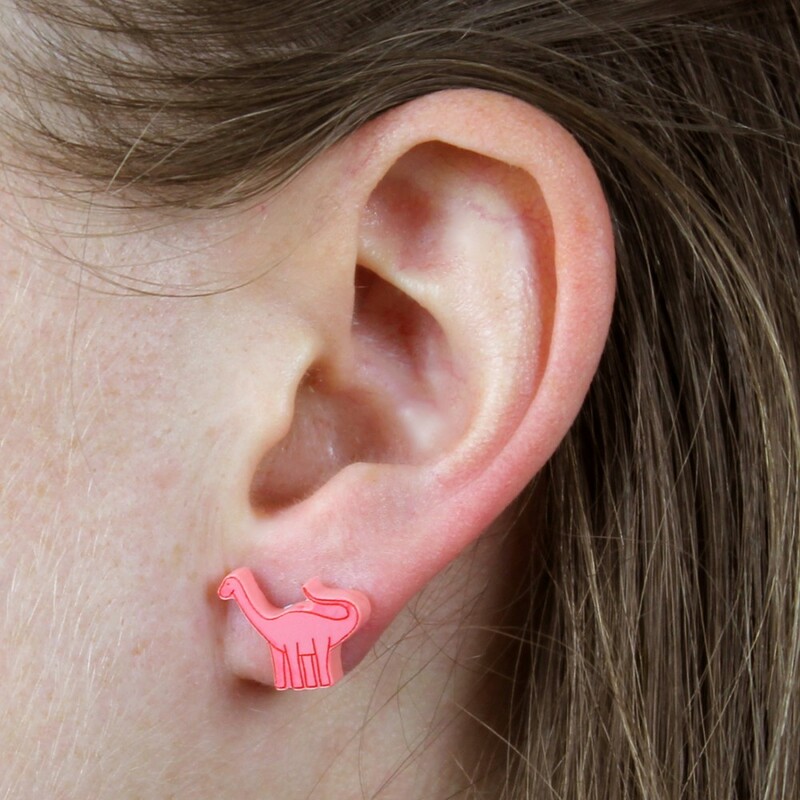 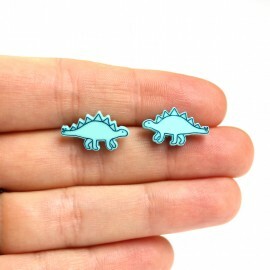 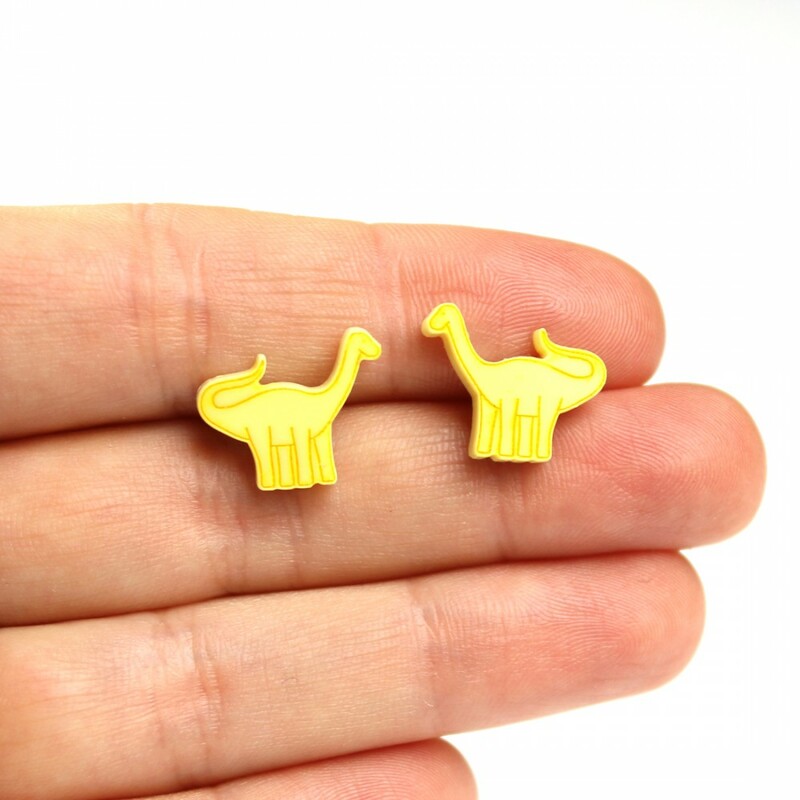 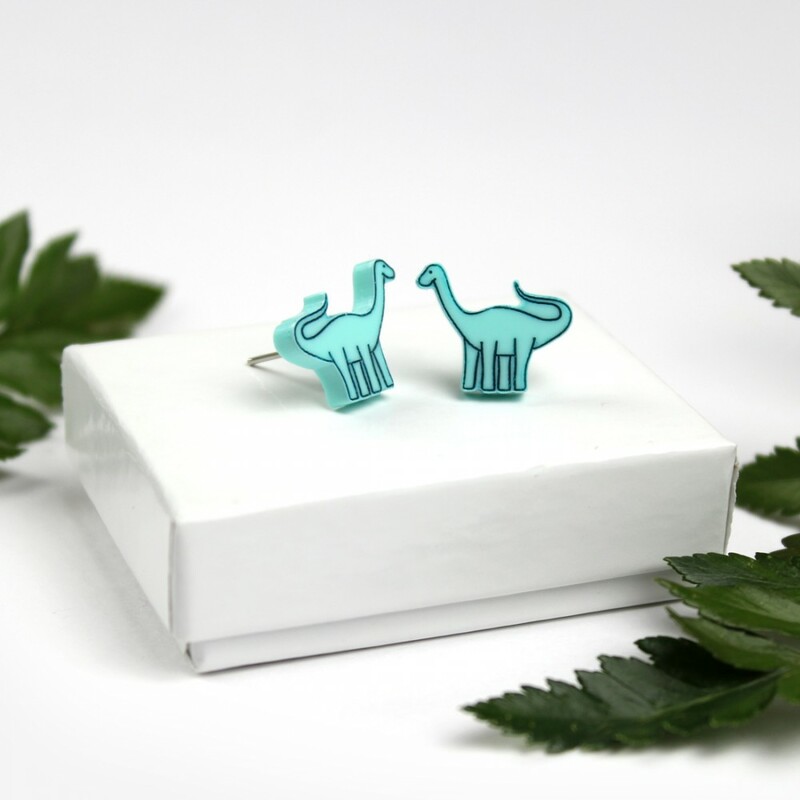 These cute studs are a fun way to add a little colour and whimsy to you outfit.These Stegosaurus sha..